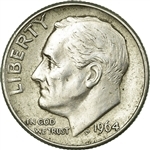 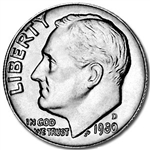 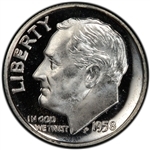 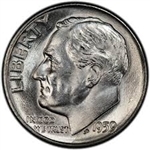 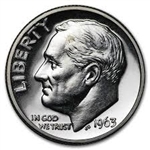 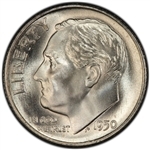 Roosevelt Dimes began production in 1946 and are still being minted today. 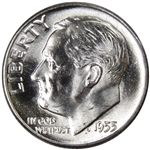 From 1946 - 1964 Roosevelt Dimes contained 90% silver. 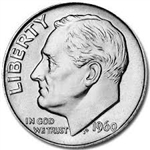 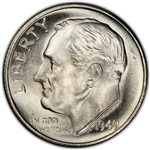 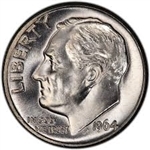 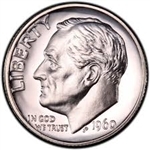 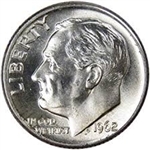 Each dime from 1946 - 1964 contains .0723 ounces of silver. 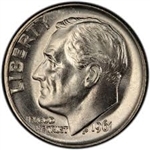 We sell brilliant uncirculated and proof specimens of these collectible coins.